iPhone users have ultimate powers in their hands in terms of technology and innovation, thus it is highly significant to serve them with new and updated software. iPhone application development companies constantly work towards providing excellent services to its end users in order to allow the technical revolution benefit its customers. Customer preferences these days change with the blink of an eye and they keep demanding more proficient mobile applications. It is utmost important to match with these user needs to develop services and allow them to take an extra leap of wonderful experience. Companies offering mobile application services continuously carry research activities to evolve conspicuously unusual applications for greater customer satisfaction. It is recommended to use the right platform and so they use latest IOS software to create applications that are compatible with all the I-Phone categories. However, application development is not an enchantment and requires deliberate and skillful efforts. Companies make use of software development kit to write their applications, debug them, create a user friendly interface and distribute them in the app market. Software development companies are also recommended to strictly abide by the coding standards so that any issues regarding performance and usage are easily detected and eliminated. New technology is always assisted by complexity so a pre check is essential. This ensures that mobile applications made available to the end users, is error free and easy to use. The developers carefully study the latest iPhone development to proved solutions for equally advanced mobile applications. I-Phone is gaining tremendous popularity form past few years, so the applications developed should comprehend the minute details that are requisitioned by its end users. More the number the users, more varied the demands are, thus, software development companies fulfill the requirements of people from all walks of life. User application demand may range from business to entertainment, hence the iPhone software development companies, expertise in making multitude of mobile applications which includes: I-Phone multimedia, business, financial, monetary, gaming, recreation, e-commerce, shopping, e-books and lifestyle applications. Apart from this, companies also effectively develop I-Phone social networking applications and Web app. The foremost thing a software development company does is devising a plan to develop applications inclusive of all requirements and which are mark of ingenuity. This calls for deployment of highly skilled and trained personnel who are committed to make distinct user applications and offer those at unmatchable prices. Are you looking to hire iPhone app developers for your custom iphone app development? 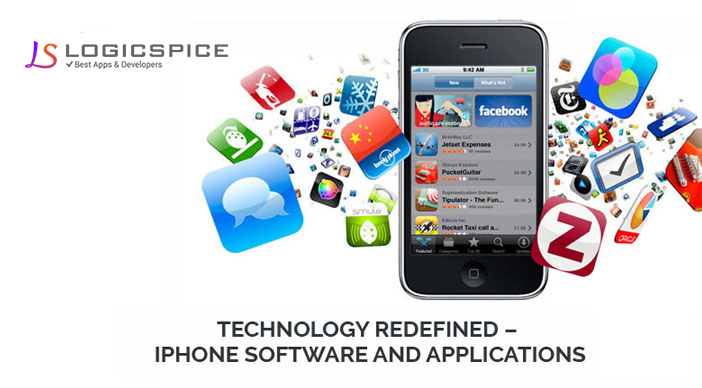 Here at logicspice we offer an affordable iphone app developer for hire at low costs.